The legendary Dockerills, a traditional hardware shop in Brighton, is holding an interactive event with bloggers and the public on the Tues 14 Aug.
DIY with Dockerills will give bloggers and the public a chance to try to get their DIY skills up to scratch, with a series of fun and interactive demonstrations and tasks. The event will take place in a traditional hardware shop, but think pink tools, inflatable hammers, drinks and a selfie booth! It will also give guests an insight into what a traditional hardware store looks like and how it operates. Although the Dockerills store has remained loyal to its traditional aesthetics, the brand has recently re-launched their website giving the store a new digital presence. 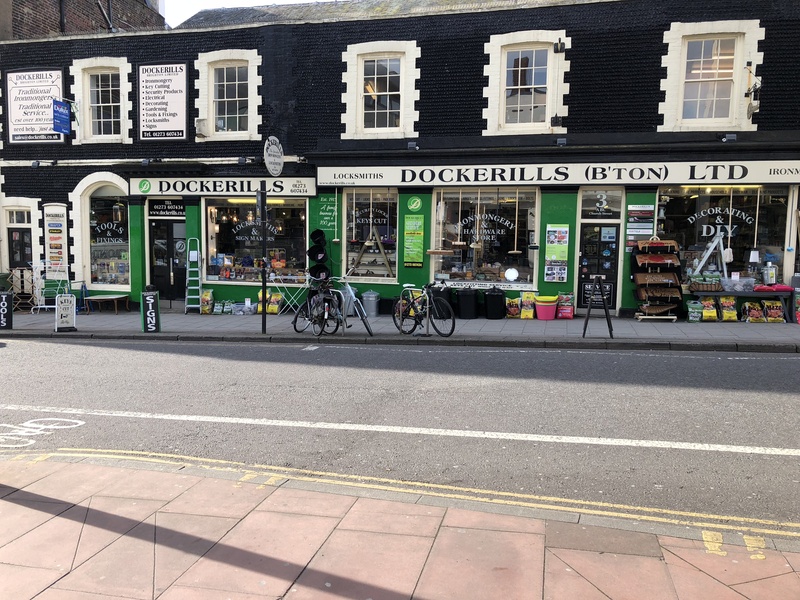 As well as interesting and fun DIY tasks which may even teach you a thing or two, guests will also learn about Dockerill’s interesting history. Their first store was opened in 1915 by Mr Walter James Dockerill. Since then, the store has become a pillar of the local Brighton community. Guests can expect woodworking and paint mixing demonstrations, with the chance to put their new DIY skills to the test! And why not step back in time with a tour of the underground cellar, featuring workers wearing traditional costumes? The Dulux dog will also be making an appearance. DIY with Dockerills comes to Brighton on Tues 14 Aug 2018.